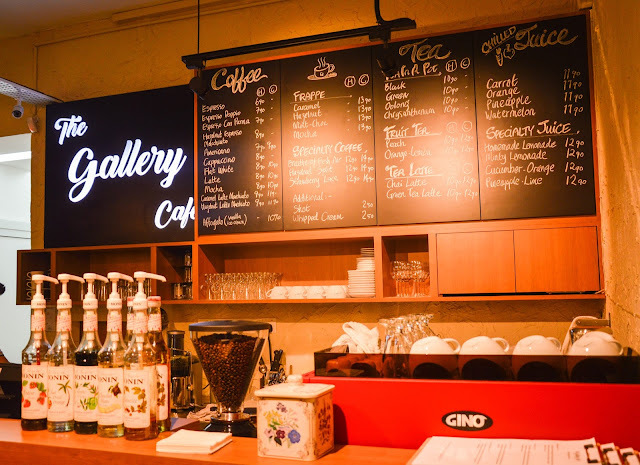 Anyone heard about The Gallery Cafe? 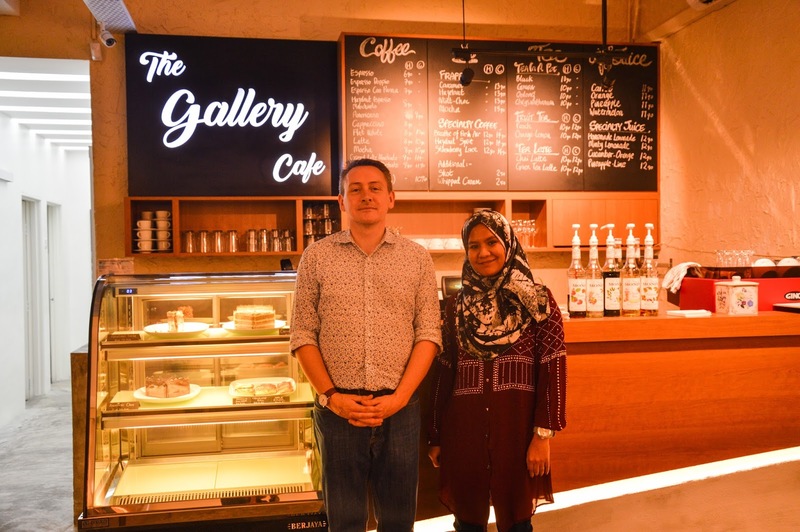 Its a new cafe and just launch on 15th August 2016 situated at Danau Desa, Kuala Lumpur. Serving their customer the Western Menu and a great coffee to make it a complete awesome experience. It was an honor to be invited for the review of this restaurant. Entering the restaurant with a cozy ambiance makes me and my husband feel delightful. 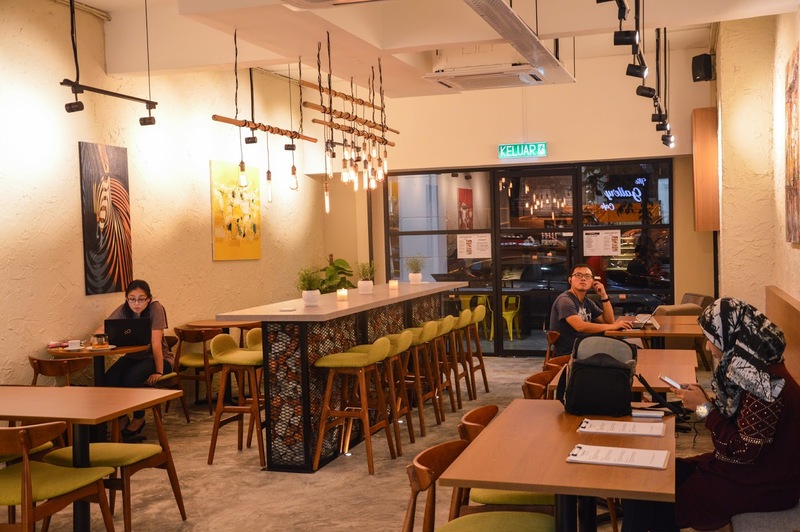 It has a simple and yet a great concept of semi casual restaurant. That day review was only me and my husband, thus we don't have the guts to order much food. So we just order two drink and two main course. 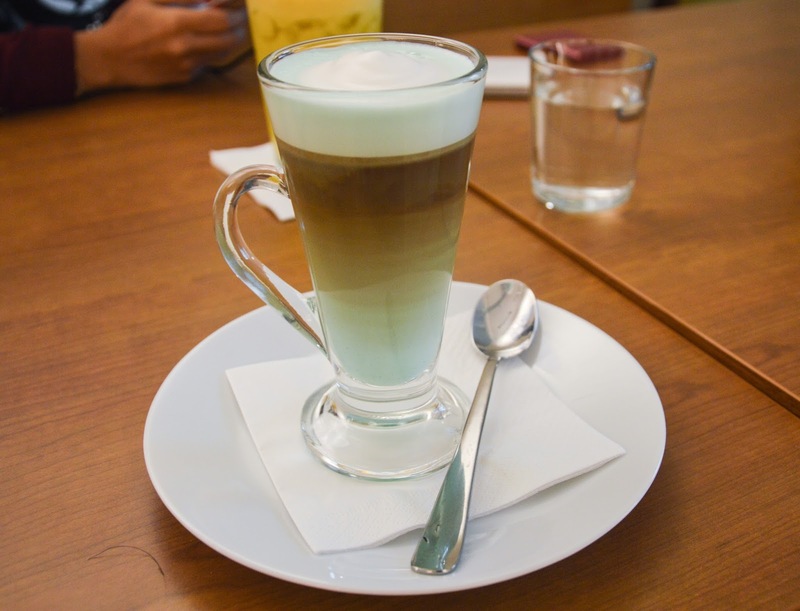 As a coffee lover, my husband order a specialty coffee that called Breathe of Fresh Air. Its a Mint Coffee to be exact. The coffee was brew nicely, and the mixture of the mint and coffee are great! The mint did not overpower the taste of the coffee but still make you breathe feel the fresh air. I choose the specialty juice as my drink that night. Yup, going to new restaurant we have to try the restaurant specialty to make it special. My drink was Cucumber and Orange juice. Honestly, I never had an orange juice mixed with cucumber. So as you know the cucumber have a fresh sensation and the orange its sweet and sour. 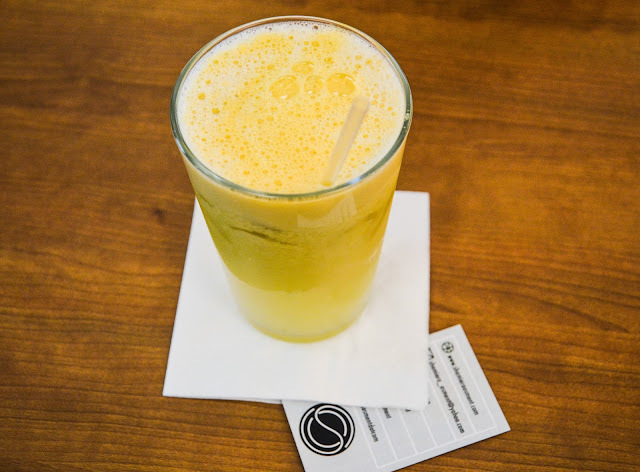 This drink is something that I love, fresh! 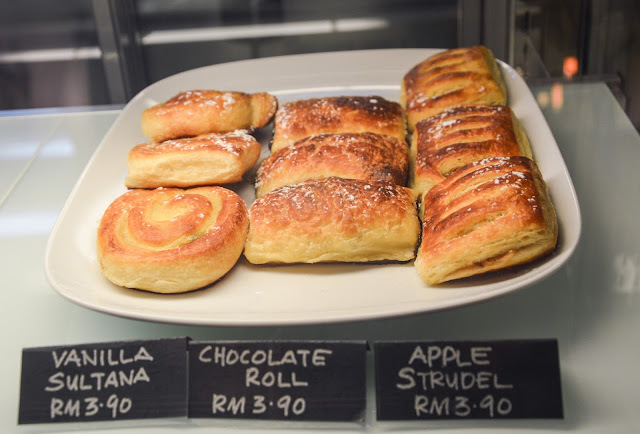 For your information, there are varieties of menu in The Gallery Cafe. From the salad and appetizer to the main course and dessert. Because we came in two person, we definitely couldn't finished a table d'hote course. So we prefer to had main course only. 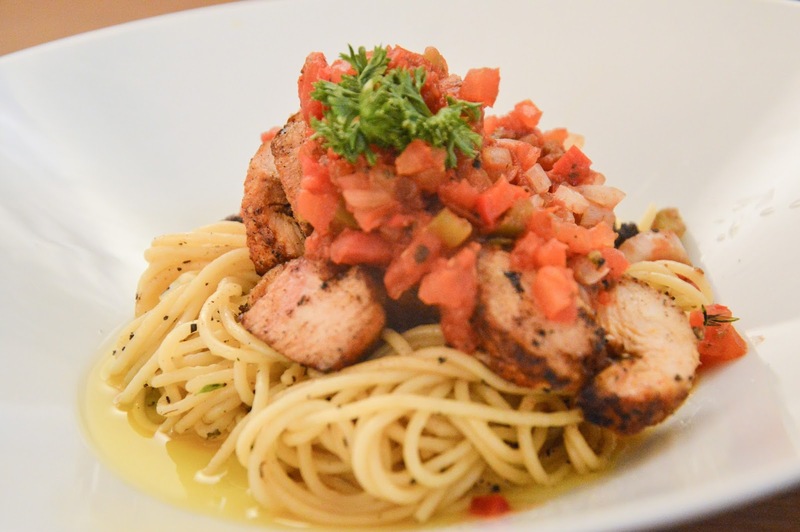 I had a Cajun Chicken Salsa Spaghetti to satisfied my pasta craving. 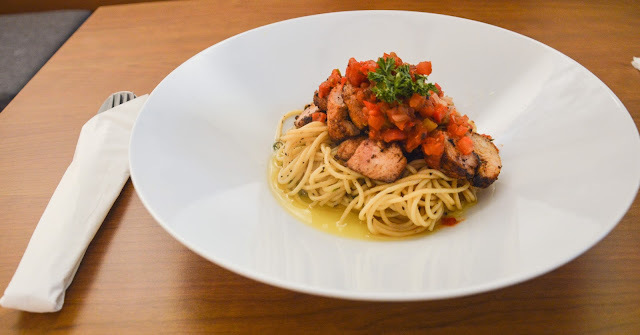 Cajun Chicken Salsa is hot and sour with the add of the salsa. Is definitely a Malaysian favourite because most Malaysian love sour food like TomYam. 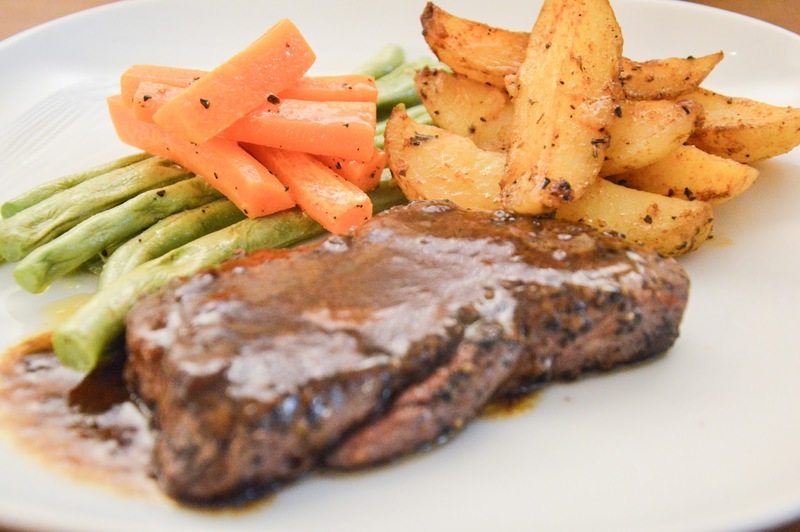 My other half, choose a Sirloin Steak with Rosemary Sauce and Saute vegetables. It is a simple Western food but it taste so delicious. We love how it cooked it meat, the moisture is still there because it is rare.. The rosemary sauce taste great, not like an ordinary instant demi glace and the rosemary taste not too strong but it is there and enough. The saute vegetable also fresh and everything is cooked from scratch. 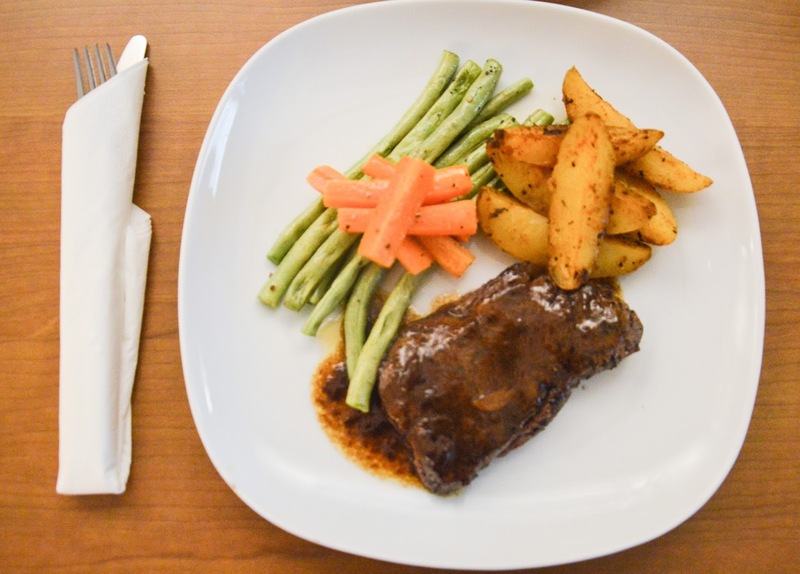 The price is also affordable, RM35.90 for a steak with everything that is cooked from scratch, I love it to the max! Last but not least, thank you again for the invitation. I'll definitely will come again and try their other menu. Address : 5-0-2, Jalan 3/109F, Taman Danau Desa, Kuala Lumpur.